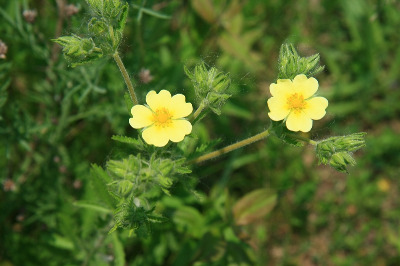 Originally from Europe, now a common weed of roadsides, fields, railroads, clearings, gravel pits, and dry disturbed ground; invading dry open forests such as aspen. More recently established and spreading in Michigan than many of our common weeds; first collected in the state in Washtenaw Co. in 1894. Numerous sessile or short-stalked glands can nearly always be found on the lower surface of the leaflets. MICHIGAN FLORA ONLINE. A. A. Reznicek, E. G. Voss, & B. S. Walters. February 2011. University of Michigan. Web. 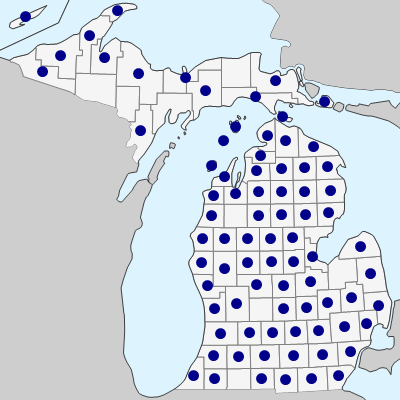 April 21, 2019. https://michiganflora.net/species.aspx?id=2512.